NO TECHNICAL SUPPORT WILL BE PROVIDED ON THIS THREAD. DON'T POST LOGS OR BUGS HERE. 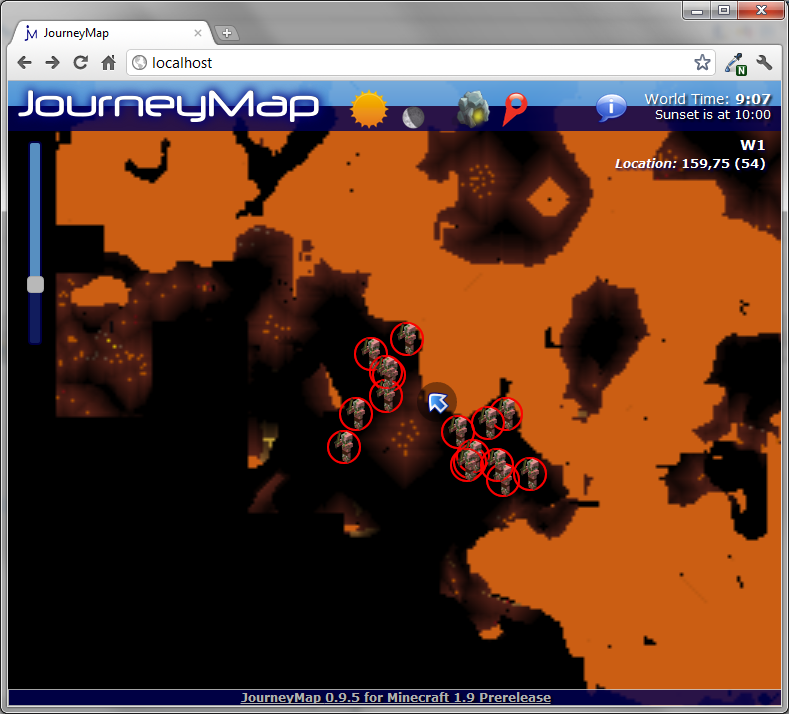 See http://journeymap.info/ for information about how to install and use this mod, complete release notes, rules about inclusion in modpacks, translation, technical support, etc. I love this, I cant wait to try!! This mod is incredible and very very useful. I do have one request however: It would be nice to have this tool sort of prerender maps without needing to actually walk somewhere. I have a very large server (about 2 gigs) and I have walked a lot of it. I am currently trying to map out a 10,000+ by 10,000+ ocean on our server without flubbing things up using a terrain generator tool. So I'm manually doing it and this map would help out a lot. However, it would be nice to know what terrain has already been generated and what hasn't. If your tool could prerender chunks that already exist onto the map and the actual "unexplored" areas are ungenerated chunks I believe this mod would become much more useful than it already is. In any case, this mod is very very useful and wonderful and great and awesome and I fully endorse it even in its current state. I will use this every time I play now. One question does this require the internet? I play mostly in an area that has no access to internet possible. No Internet access is required. The only thing that happens is a check to see if a newer version is available. Thanks for the feedback and the ideas. I'll take some time and think over the implications of your request. The main sticking point is that this is a client mod, so there isn't any good way to access a world chunk without 'going' there. But I'll do some experimenting and see if there is a way around that without needing a server mod. Umm if you make it on minimap and press "M" to open it to big map it's will be great but i like he idea! Yes indeed - had a few other distractions to deal with first, but I'm planning on releasing JM 1.0 for MC 1.0 this coming week. :ohmy.gif: i am so impatient lol how long probably now a day, two days? I have a good idea for it idk how easy or hard this would be but make a plugin for a server where when anyone (jm or no jm) who make's a chunk load add's it to your in browser jorney map and then you don't have to explore as much on those servers. and when you first join a server a lot of it will already be loaded to your journey map. I had to wait for MCP to come out with a 1.0.0 version first. It finally has, so I'm recompiling now. Hopefully I'll have it tested and out in a few hours. Any sanity test volunteers? cool and what do you think of my plugin idea? 1.do you got the end mapping? 3.ability to add mod added blocks. 5.like on skyblock make the area's where it will just go to void blue instead of black. (oh bit keep it black in the end.